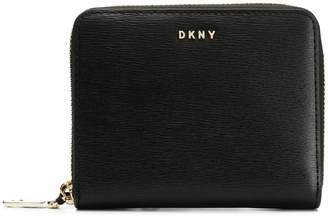 By offering a wide range of ready-to-wear, shoes and accessories for all occasions, DKNY has established itself as one of the most important brands in the world. 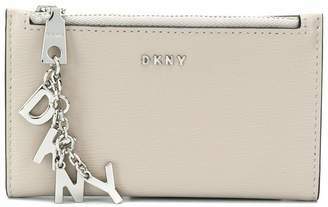 By opting for a relaxed, yet modern type of style, the brand has most certainly been a firm favourite of fashion insiders since forever. 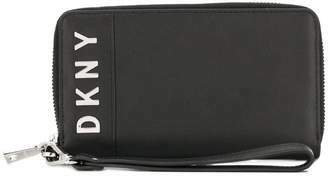 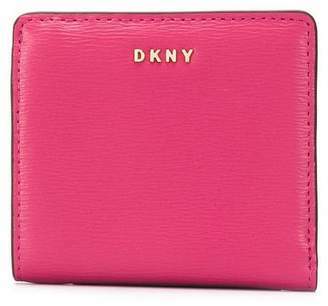 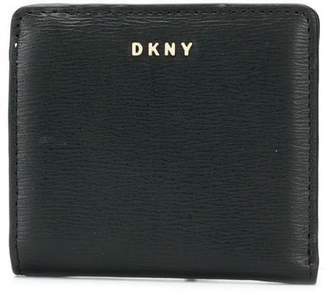 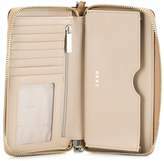 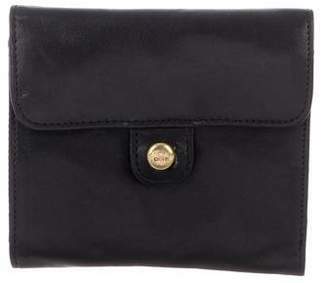 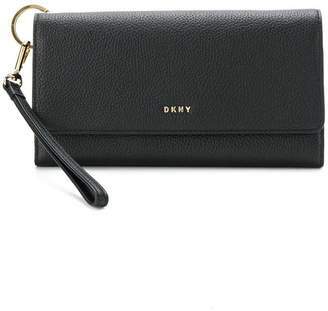 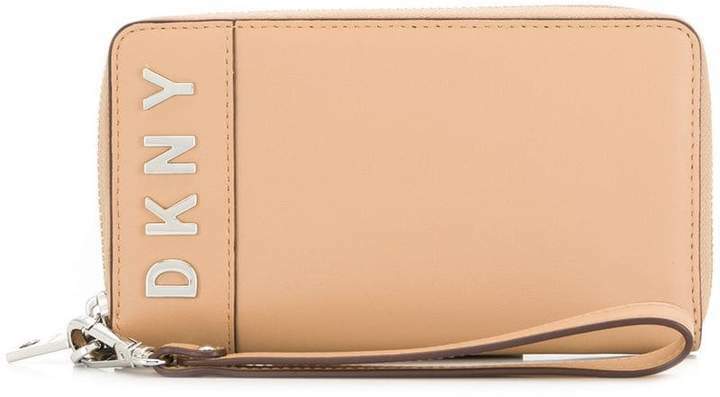 This beige leather all-around zip wallet from DKNY features multiple interior card slots, an internal zipped pocket, a transparent id window, an internal phone compartment, an internal logo stamp, a wrist strap and a silver-tone logo plaque.